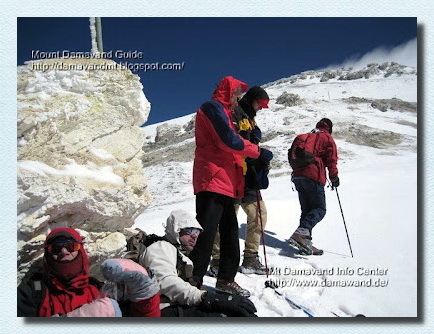 Helpful info for Climbing Mount Damawand South Route Iran. There is an area on the southern route of the Mt Damavand called the Danger Zone. It is the most risky part of the mountain during bad weather, poor visibility, snow, fog and cloudy condition. Danger Zone is located between the fake summit 5400m and the real peak 5670m. It has a mild climbing slope, without rocks and signs, it looks like a desert with only a few guideposts which you can not find them in foggy and cloudy condition. In a good visibility it is not a difficult part of the mountain. It is similar to the Bermuda Triangle!. But there is no mysterious or supernatural events there, just mountaineers are not able to find the right trail in this part when they return back from the summit in bad visibility. It looks like a one way road! you can ascend it easily, but you can not find your way back to Camp3. The main cause of disaster in the area is bad weather and poor visibility. Even in conditions that make it difficult to see clearly without any particular equipment it is possible to climb to the top, but it isimpossile to find any sign, footprints and your way back to descend to the lower camps and you may finish with a bitter end. Visit also Damavand Weather Forcast. - Do not go upper than fake summit 5400m. - A reliable GPS receiver is essential. - An experienced Mt Damawand Guide is helpful. The danger zone stars from this point upto the summit, it is also the sulphuric area of the volcano. Mosalasi, Baam e Jonobi, Sang e Pes-tan, Dood koh. Two climbers from Hamedan Province Iran after their successful climb, lost their way to east ridge, near Yakhar Glacers and died there. Jalal Froozan Rabooki from Tehran, the most famous Iranian climber, lost his way back and had bitter end, his body was found 6 months later in Yakhar Glacers. Damavand Danger Zone ist die riskantesten Teil des Berges. Risiken bei schlechtem Wetter und schlechter Sicht. Gefahrenbereich im Schneesturm, Nebel und trübe Zustand. Unsichere Region beim Wandern Trekking und Klettern Programme. Winterbesteigung und Skitour 2015 Damawand Iran. Ski Expedition Touren Alborz und Zagros. Bergtourismus Zentrum Teheran. Iran Berg Föderation Nachrichten. Klettern Reiseveranstalter. Damavand Karte. Low-Budget-Tour in den Iran demavand. Damavend Gefahrenzone, Alarm Demawand, schlechtes Wetter, schlechte Sicht. Damavand Danger Zone is the most risky part of the mountain. Risks in bad weather and poor visibility. Dangerous area in snow storm, fog and cloudy condition. Unsafe region during hiking trekking and climbing programs. Winter climb and skitour 2015 Damawand Iran. Ski expedition tours Alborz and Zagros. Mountain tourism centre Tehran. Iran Mountain Federation news. Climbing tour operator. Damavand Map. Low budget tour to demavand iran. Damavend Danger Zone, Alert Demawand, bad weather, poor visibility. Damavand zona de peligro es la parte más riesgosa de la montaña. Los riesgos en el mal tiempo y la mala visibilidad. Zona peligrosa en tormenta de nieve, la niebla y el estado nublado. Región en condiciones de riesgo durante la caminata trekking y escalada programas. Subida de invierno y Skitour 2015 Damawand Irán. Excursiones expedición de esquí de Alborz y Zagros. Centro turístico de montaña Teherán. Noticias Irán Federación de Montaña. Escalada operador turístico. Damavand Mapa. Recorrido de bajo presupuesto para demavand iran. Damavend Zona de Peligro, Alerta Demawand, el mal tiempo, mala visibilidad. Damavand Danger Zone est la partie la plus risquée de la montagne. Risques dans le mauvais temps et la mauvaise visibilité. Zone dangereuse dans la tempête de neige, le brouillard et l'état trouble. Région dangereuse au cours de la randonnée de trekking et l'escalade des programmes. Ascension d'hiver et skitour 2015 Damawand Iran. Visites de l'expédition de ski Alborz et Zagros. Centre de tourisme de montagne Téhéran. Nouvelles Fédération Montagne Iran. Escalade voyagiste. 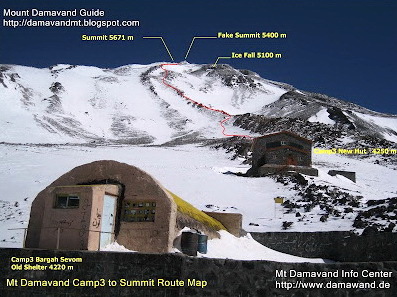 Damavand Plan. Visite faible budget demavand iran. Damavend Danger Zone, alerte Demawand, mauvais temps, la visibilité est mauvaise. Damavand Danger Zone è la parte più rischiosa della montagna. Rischi in caso di maltempo e la scarsa visibilità. Zona pericolosa in tempesta di neve, nebbia e condizioni nuvoloso. Regione non sicura durante le escursioni trekking e arrampicate programmi. Salita invernale e skitour 2015 Damawand Iran. Tours spedizione sci Alborz e Zagros. Montagna centro turistico Teheran. Notizie Iran Federazione Mountain. Arrampicata tour operator. Damavand Map. Tour Low budget a demavand iran. Damavend Danger Zone, Alert Demawand, cattivo tempo, scarsa visibilità. Damavand Danger Zone er den mest risikable delen av fjellet. Risikoer i dårlig vær og dårlig sikt. Farlig område i snøstorm, tåke og overskyet tilstand. Usikre regionen i løpet fotturer trekking og klatring programmer. Vinter klatre og skitur 2015 Damawand Iran. Ski ekspedisjonsturer Alborz og Zagros. Fjellturisme sentrum Teheran. Iran Mountain Federation nyheter. Klatring turoperatør. Damavand kart. Lavt budsjett tur til demavand iran. Damavend Danger Zone, Alert Demawand, dårlig vær, dårlig sikt. Damavand Danger Zone является наиболее рискованным часть горы. Риски в плохую погоду и плохой видимости. Опасный район в снежной бури, тумана и пасмурной состоянии. Опасное область во время походов походы и восхождения программ. Зимнее восхождение и Скитур 2015 Damawand Иран. Лыжной экспедиции туры Эльбрус и Загрос. Горный туризм центр Тегеран. НОВОСТИ Иран Федерация горы. Восхождение туроператора. Damavand Карта. Низкая тур бюджет demavand Иран. Damavend Danger Zone, оповещения Demawand, плохая погода, плохая видимость. Damavand Danger Zone yavlyayetsya naiboleye riskovannym chast' gory . Riski v plokhuyu pogodu i plokhoy vidimosti . Opasnyy rayon v snezhnoy buri , tumana i pasmurnoy sostoyanii. Opasnoye oblast' vo vremya pokhodov pokhody i voskhozhdeniya programm. Zimneye voskhozhdeniye i Skitur 2015 Damawand Iran . Lyzhnoy ekspeditsii tury El'brus i Zagros . Gornyy turizm tsentr Tegeran . NOVOSTI Iran Federatsiya gory . Voskhozhdeniye turoperatora . Damavand Karta . Nizkaya tur byudzhet demavand Iran. Damavend Danger Zone , opoveshcheniya Demawand , plokhaya pogoda, plokhaya vidimost' .